It is October 10, 1974. 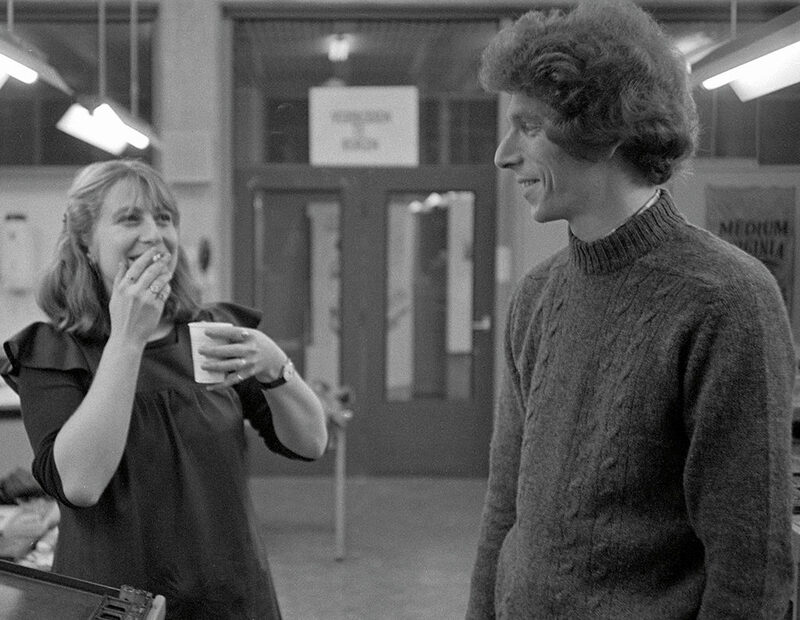 Gerard Unger (1942-2018) takes the train from Bussum in the Netherlands to Kiel in Germany. He is on his way to meet Herr Peter Käpernick of Hell’s Schriftabteilung, Hell being the company that invented the Digiset typesetting machine. 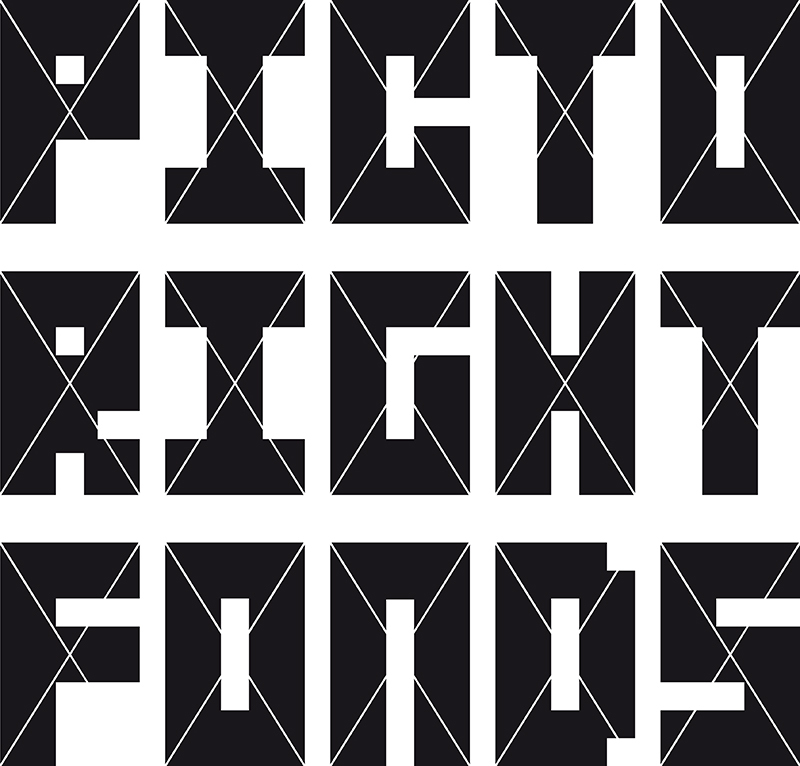 Digiset creates type by drawing small lines of light at a high speed across photosensitive paper. The German font designer Hermann Zapf had advised Hell to commission the design of new type that would benefit from Digiset and overcome some of the difficulties inherent to the technique. At a time that type design was not common in the industry, the process was seen as costly and protracted. How to recover its costs? Unger is traveling well-prepared; he has sketched a font adapted to the specific demands of the Digiset technique. Käpernick likes Unger’s ideas about how to design letters for a digital typesetting machine, but he points out that the proposal needs serious adjustments to overcome the coarseness of Digiset’s screen. Nevertheless, October 10 is a memorable day: it marks the beginning of a collaboration that lasts fifteen years and produces five families of type. On October 10, 1974, it is Unger the type designer who returns to Bussum; he is about to become Holland’s youngest and best-paid expert in the field.The five type families for Hell will be followed by sixteen other font designs, which (together with the two he created as a starting graphic designer), leads to a total score of twenty-three. Unger accomplishes more: he is the graphic designer of a variety of print and other graphic products and he is the author of many professional publications. Moreover, he teaches thirty-four evening school years at Amsterdam’s Rietveld Academy of Art. 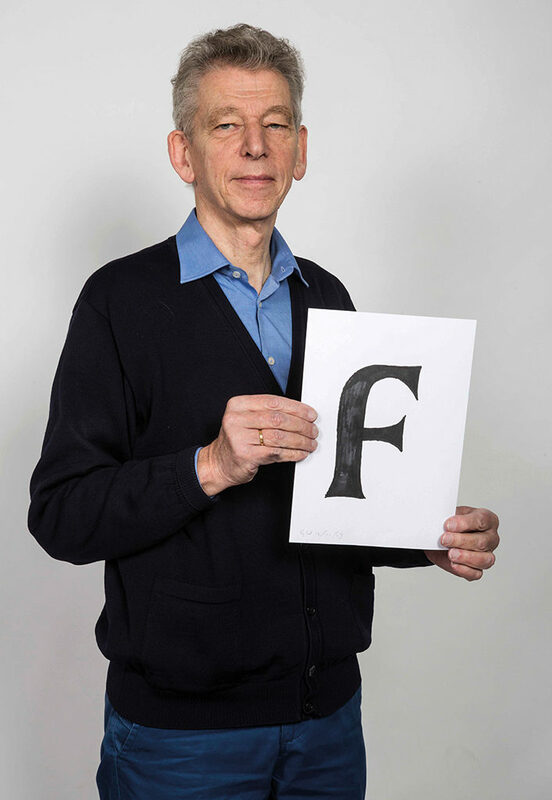 Yet Unger is so devoted to type design that friends of his young daughter Flora believe he is not one of the smartest fathers, or why would he spend so much time at home just drawing letters? 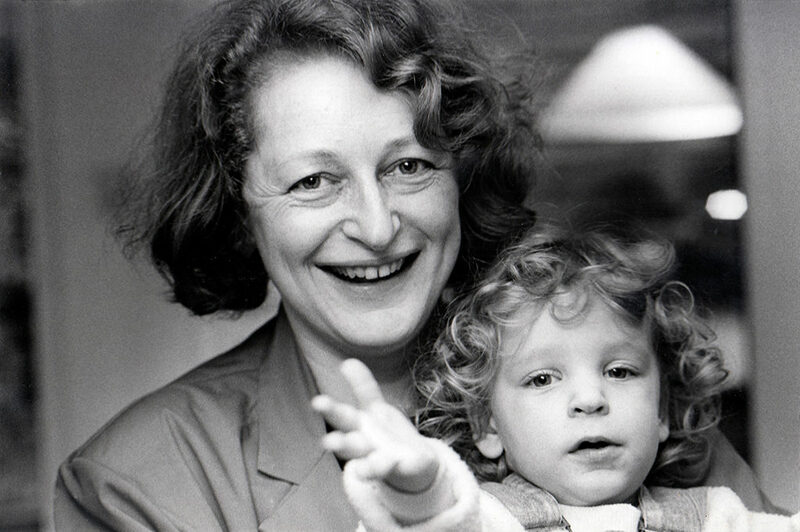 Unger was born in 1942 in Arnhem, the youngest son in a family with two sons and three daughters. His father is a yarn sales manager for Arnhem-based Algemene Kunstzijde Unie (AKU), the company later to be called AKZO after amalgamating with Koninklijke Zout Organon. Strolling in the Oosterbeek woods in September 1944, father and son Unger, with other family members, are surprised by thousands of parachutists jumping from Allied planes: the Battle of Arnhem has started. Two-year-old Gerard loves the spectacle of these toy soldiers descending from the sky, but his father grasps immediately they’d better return home quickly. It will be April 1945 before they are finally able to move back into their family home; they had to find safety, first in a hotel (which burns down), then in a bakery, and later in the chicken coop at a farm. Home at last, they discover that British and Canadian military bivouacking in their house had burned most books for cooking. Even today Gerard remembers vividly how he managed to find only pieces of the ‘Bos Atlas’, loose sections of an issue of ‘Arts et Métiers Graphiques’, and less than half of a pamphlet Piet Zwart had designed for PTT (Dutch Post Office), which he used as his coloring book. Unger learns to read and write after the war has ended. At home, the book shelves the family found empty after their wartime return are full of books again and also of issues of ‘Rayon Revue’, an AKU company promotional magazine of which his father was one of the initiators. Otto Treumann is its graphic designer from 1947 to 1958. Later, during his lyceum years, a school friend’s dad owns a printing office where Unger discovers issues of the famous Christmas Edition of ‘Drukkersweekblad’ (Printers’ Weekly). He shops at booksellers Hijman, Stenfert Kroes and Van der Zande and discovers ‘Grondbeginselen van de Typografie’ (Principles of Typography) writtenby Stanley Morison as translated from English by Jan van Krimpen, and also ‘Drukletters’ (Type) written by M.H. Groendaal. But he isn’t successful at the lyceum; in 1962 he cuts short his formal secondary schooling; he is conscripted into the Dutch Army where his superiors take six months to discover he is a totally inadequate soldier. In 1963, after ditching his military uniform, Unger is accepted as a student at what will become the Gerrit Rietveld Academy of Art. He designs his first font in his first year at the academy and a second one, to be engraved in layered plastics, in 1967, the year he graduates. His Masters is a research of the chronological development of numbers. Unger reads Stanley Morison: “Type design moves at the pace of the most conservative reader. The good type designer therefore realizes that, for a new font to be successful, it has to be so good that only very few recognize its novelty. […] Typography is the efficient means to an essentially utilitarian and only accidentally esthetic end […].” Unger doubts the truthfulness of these principles. It is his opinion that elegance can team up with functionality; or vice versa, why should an efficient letter not catch the eye for its titillating and self-conscious presence? But Unger is not a widely recognized type designer yet. After six months at Total Design he is hired by Prad. He marries his art academy friend Marjan de Boer in 1968, is sent to London to be trained as a “Type Director” and writes typographic rules and regulations for in-house use by Prad: sixteen pages of good advice showing many examples. “The reader has to find a clear message without meeting obstructions,” writes Unger. In 1970 he reduces his time at the ad agency to work two days a week at the leading Haarlem-based print house Enschedé & Zonen. Unger, sharing a room with Bram de Does and Anton Witkamp, designs the font Markeur. This sanserif is cut out of plastics to create rounded corners, a type Enschedé (backing off from lead at the time) can use well for sign systems. He leaves Enschedé and Prad in 1972 and establishes himself as a free-lance designer. Trying to bring into existence a design studio specialized in sign systems together with his co-student Paul Mijksenaar, they find the market is not ready yet. Mijksenaar and Unger both contribute to the Routextsign system anyway and they become members of the study group Pieter Brattinga leads to advise Amsterdam’s city council on the visual aspects of the planned Metro. For this municipal urban underground Unger designs M.O.L.in 1975, also a Gothic, also with rounded corners, this time especially to beat the dazzle of light boxes at the Metro stops. To enhance readability of the letters he enlarges their inner spaces by moving the beginning of curves farther apart and making their extremes turn inward less deeply. Meanwhile photographic typesetting is breaking through to transform the graphic industry. Letters can now be built up on photographic paper from the thinnest of lines. 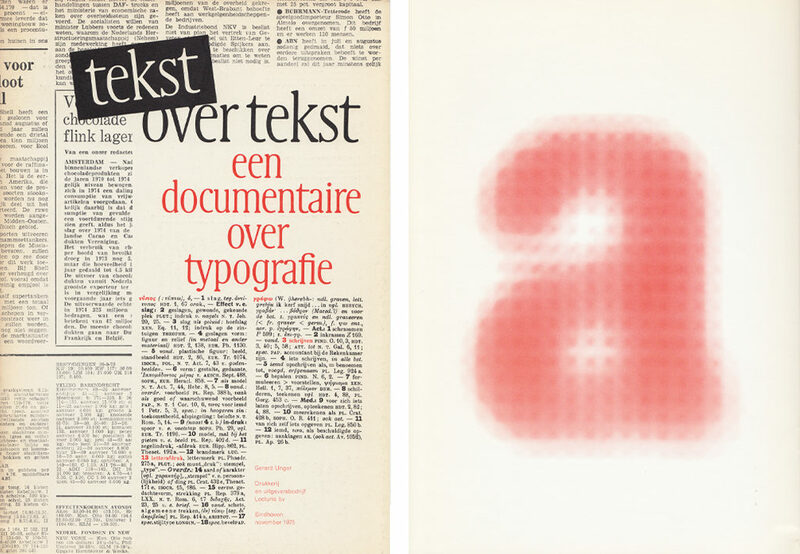 Unger designs his first photoset font already in 1974, even before M.O.L.,and shows it to the Amsterdam-based printer Frans Spruijt. It is Spruijt who points him in the direction of Hell in Kiel; he adapts his font to the demands and possibilities of Hell’s digital typesetting machine. By 1975 the new font is ready to meet the market; it is named Demos. The inner spaces are widened to improve the letters’ facility to form words and to strengthen the horizontal character of lines. To correct the digitally operated light beam’s diffusion Unger avoids the use of sharp corners. Hell’s Praxisfollows in 1976 and, by honoring similar principles, can be used efficiently in combination with Demos. Unger was inspired to design this duo of font families by Jan van Krimpen’s font design Romulusdating back to 1932. Four years later, as a visiting professor at Rhode Island School of Design in the U.S., Unger discovers the correspondence between the font designer William Addinson Dwiggings (who died in 1956) and the Linotype producer Mergenthaler’s VP, Chauncey H. Griffith. Mergenthaler works with Dwiggings on the creation of a newspaper font, a difficult task considering the high print speed of newspaper production, the heavy print pressure, the use of thin inks, the use of ink absorbing pulp papers, as well as the fine print. Dwiggings’s design Experimental No 223 is, for several reasons, never implemented even if it introduces the ingenious “M-formula”. The “M” refers to the marionettes Dwiggings cut out for his private puppet theater in such a way, that their characteristics could be distinguished (“read”) even by the members of his audience who were sitting in the rear. The smaller the puppet, the stronger the expression had to be. The same principle applies to letters: they have to be readable from certain distances. As from 1977, Unger applies the M-formula in all his designs. In the 1970s, the improving typesetting techniques result in more and more refined screens in which to form letters. Nevertheless, diagonals and curved shapes still have to be constructed intermittently. This handicap is partially removed after the introduction of the vector technique as developed by Peter Karow to draw the complicated curves of ship hulls. 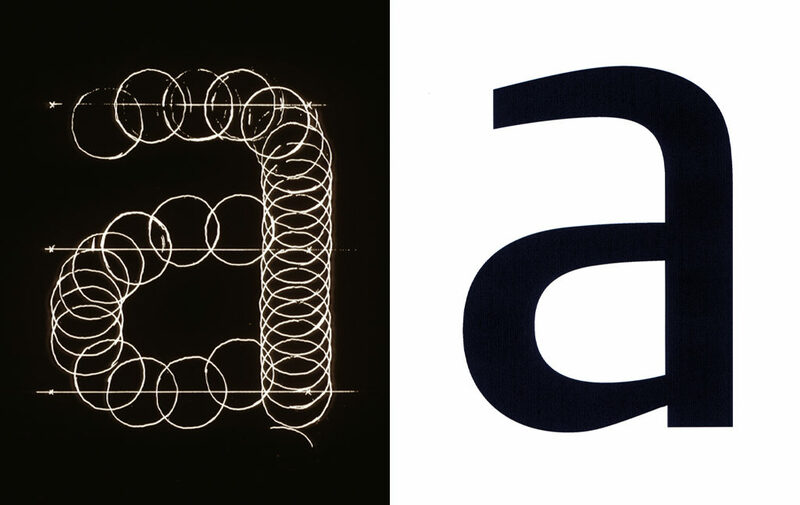 Karow and Hell together execute experiments with gradual enlargement and reduction of letter contours. Now Unger can draw sharper details and he designs his Hollander with pointed serifs; this font reaches the market in 1983. Its design is based on creations by the 17th-century letter cutter Christoffel van Dijk. 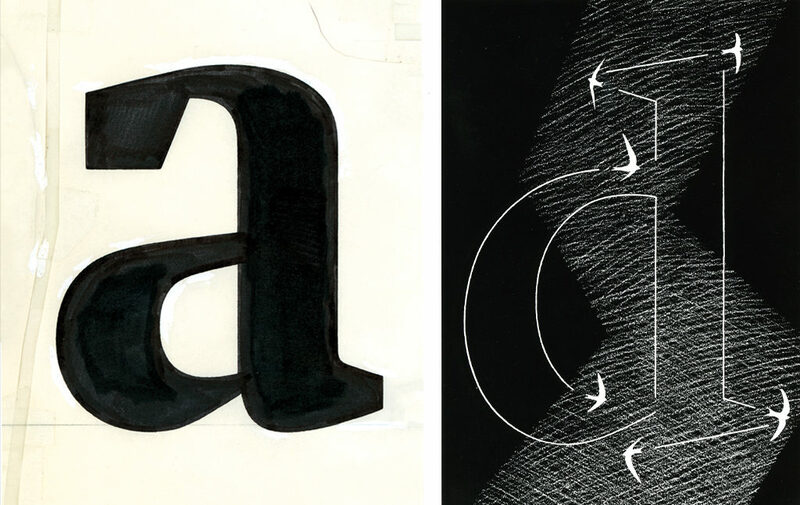 A year later Unger introduces his “roman italic” Flora after calligraphic experiments using ballpoints and felt pens. Fine screens allow for digital reproduction of tight monoline curves; the font is named after his newborn daughter. 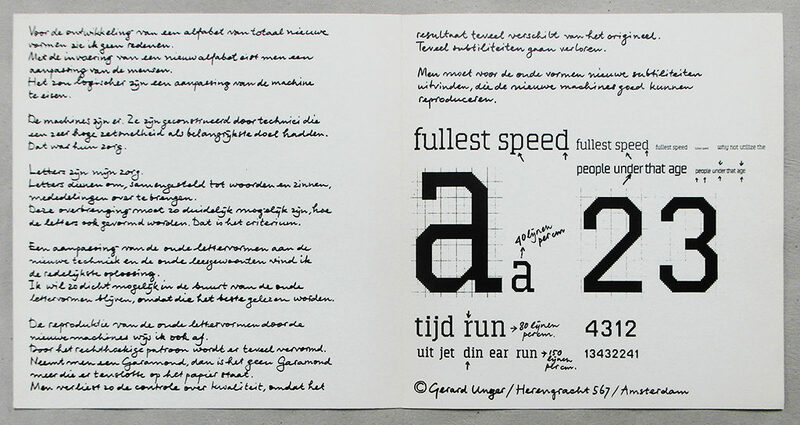 Unger creates his fonts, writes his articles and prepares his teachings in the studio at his Bussum home. Former students assist him at the execution of design commissions such as sign systems, corporate identity programs, magazines, books, postage stamps and other projects that require the expertise of a typographer. He is involved with Bruno Ninaber van Eyben’s design of the Dutch guilder coins, with Peter Struyken’s Queen Beatrix stamp, and with the numbers to be used in the Dutch phone books in 1984. He contributes to the development of a matrix printer for Philips, never to be produced because the revolutionary laser printer successfully and swiftly conquers the market. 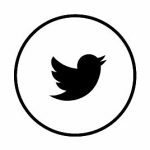 In his graphic designs he most often uses his own fonts; or the commissions inspire him to create new type, such as in 1985 the Swift named after the swallows or swifts that are often swiftly circling his home. Their fast turns lead him to design tight curves, their strong wings become sturdy serifs apt to keep the letters undamaged while “suffering” from the rough print process of newspapers. The perfecting of the printing process allows Unger to design more elegant type forms and, by adding Swift variations for ready use in other languages, to create a commercially successful international market for his product. It is the last font produced by Hell; no longer able to compete with Apple computers and Apple software for graphic designers who want to create letters, they are forced to close their Schriftabteilung in 1989. The conservative approach of the traditional typesetter has to give way to the self-publishing efforts of the graphic designer, whose experiments produce new generations of interesting fonts. In 1987 Unger invites a group of these young talents to meet in Bussum to discuss their work. 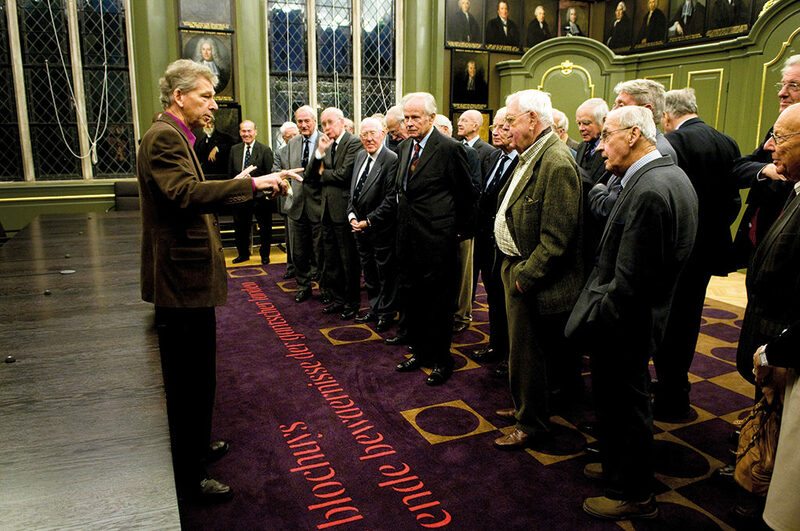 This meeting tells him he is no longer the youngest, most successful type designer in the Netherlands — he cannot count his serious competitors on the fingers of one hand. 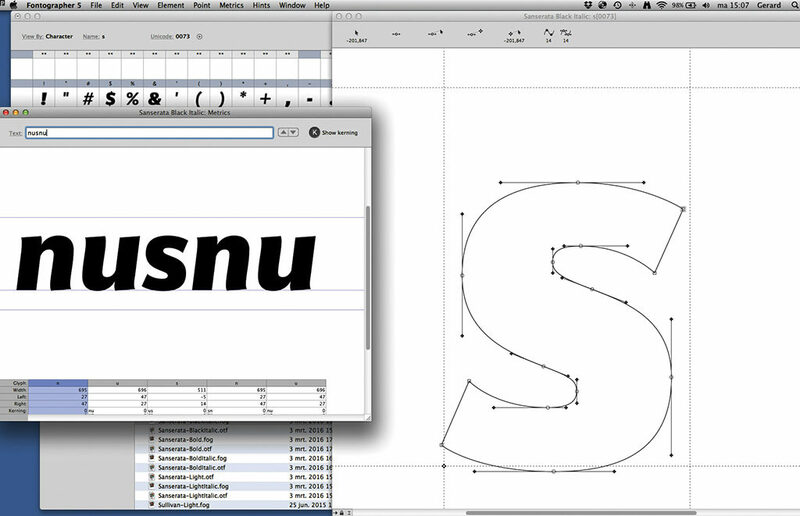 The next year, Unger acquires the Fontographer program and now draws his letters on-screen. But printer quality cannot yet keep up: the laser printer’s pixels are too wide apart to not destroy letter forms. 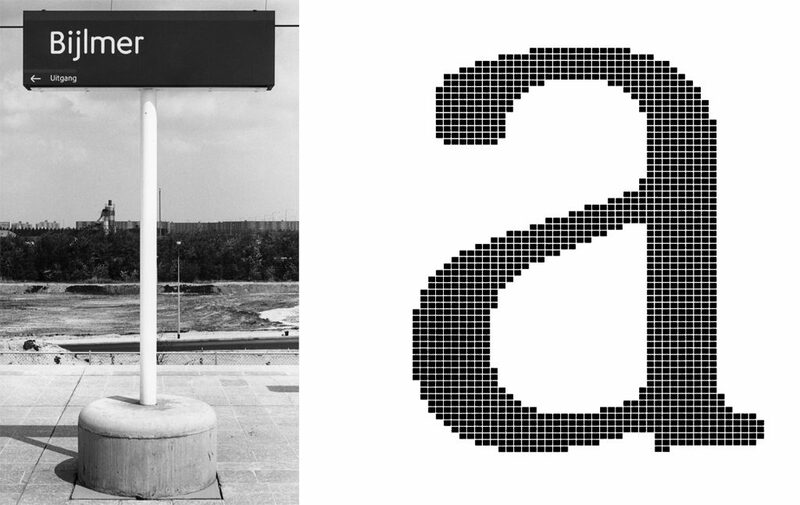 Unger solves the problem by designing Amerigo in 1986 for the U.S. font publisher Bitstream; its resolution can handle 300 dots per inch. Similar solutions are found for Océ’s printers in the Netherlands. 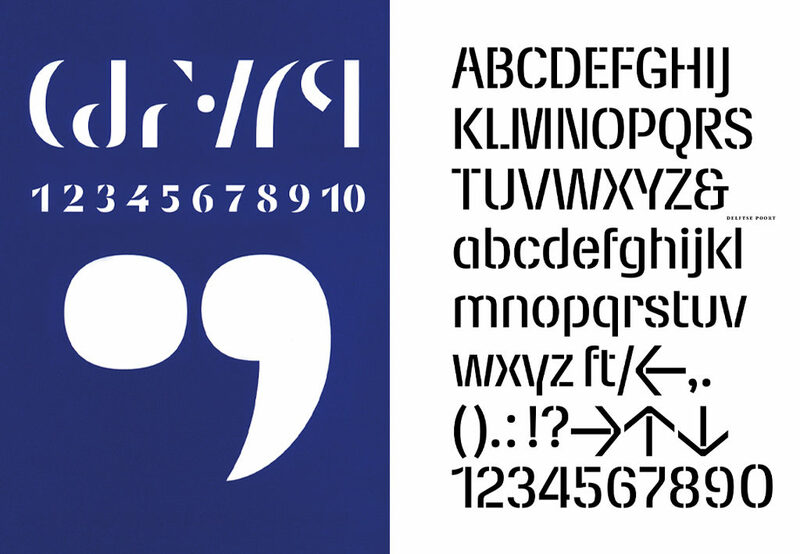 For Océ he designs Oranda (1987), a typewriter letter just right for Océ’s market for “old-fashioned” office machines. In 1991 Unger adds Argo, commissioned by the German URW in Hamburg, a Gothic feeling well in companionship with his Swift. It is his final hand-drawn letter. With a world-wide market for type developing, Unger extends his font library with all kinds of special symbols that function well in whatever digital platform. He himself promotes and distributes his designs, and deals with all financial matters. Together with Bavo van Rossum he sells Gulliver (1993), which they promote as “being the most economical letter on earth.” He extends its capacities, and delivers a small corps with a huge presence; no wonder it is named after Gulliver, the visitor of Liliput in Jonathan Swift’s ‘Gulliver’s Travels’. Van Rossum and Unger manage to sell this visual efficiency at a high price for more than twenty years to users who know they will be able to enjoy easy returns on their investment. One of them is the North-American newspaper ‘US Today’. The font Gulliver allows its producer to cut three centimeters from its page width, which with 1,500.000 copies a day delivers a remarkable reduction of their paper costs–not to mention the fewer trees to be cut down. The magazine ‘Émigré’ published in Berkeley, California in the 1990s is becoming the voice of designers of experimental fonts not aimed at efficiency. In 1992 Unger publishes his essay ‘Legible?’ in ‘Émigré’. He says: “Reading creates its own silence […] For a short moment, all those black signs disappear off the stage, change their outfits and return as ideas, as representations, and sometimes as real images.” Earlier Unger already pointed out how constricting their interpretation of readability is; now he tells “experimental” postmodernists that their non-functional interpretation of readability is “merely self-serving.” Nonetheless, he has presented his own experimental font a year earlier in the magazine published by Neville Brody and Erik Spiekermann, ‘Fuse’. His Decoder (from 1991) exists of one dot and one comma and ten separate forms from which all letters, all numbers and all diacritic signs can be assembled. This project proves that no more than a restricted number of basic elements – forms and counter forms — are needed to create a font’s visual cohesion. Also in 1991 Unger designs Delftse Poort, a mimeograph letter commissioned by insurer Nationale Nederlanden for signposting in their Rotterdam head office. Two more fonts that are “pointing the way” appear in the 1990s. 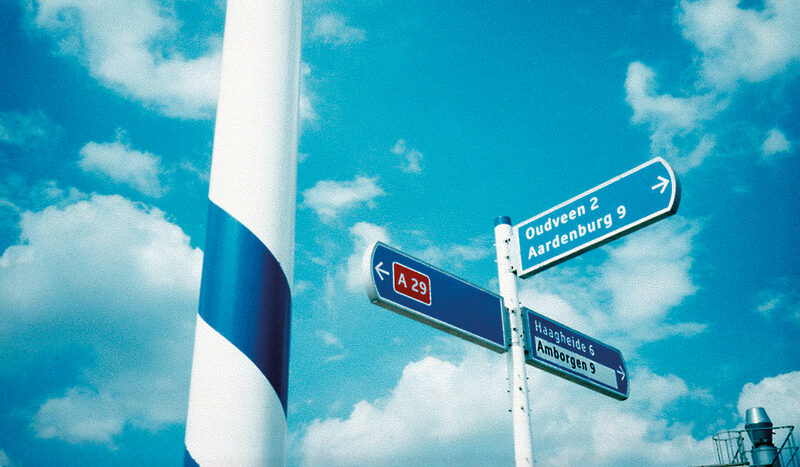 One is designed in 1997 for ANWB, the Dutch automobile association responsible for road-sign design and installation. Unger manages to improve readability from a distance. The second one helps pilgrims and tourists to navigate the City of Rome during the Holy Year 2000. This font is called Capitolium and is somewhat based on Giovanni Francesco Cresci’s calligraphy, who in his publication ‘Il perfetto scrittore’ from 1570 drew renewed attention to the Trajan capitals by adding lower-case letters. Their elegant South-European roundness is given a clear and rather northern structure by Unger; alas, the signs he designs using this font will eventually not be installed in Rome. Unger writes about reading in his 1997 book ‘Terwijl je leest’ (While reading), for which he also creates the illustrations and of course the graphic design. He pays tribute to readable presentations of language and once more concludes that it is thanks to graphic conventions that we are able to be in touch with each other over time and to conquer distances. The publication is translated into the English language, Italian, German, Spanish, Korean, French, Portuguese and Chinese. Unger as visiting professor teaches six times a year at the University of Reading in the U.K. starting in 1993. He lectures on graphic design and typography in many countries and he keeps in touch with colleagues during the yearly Association Typographique Internationale, ATypI, meetings. 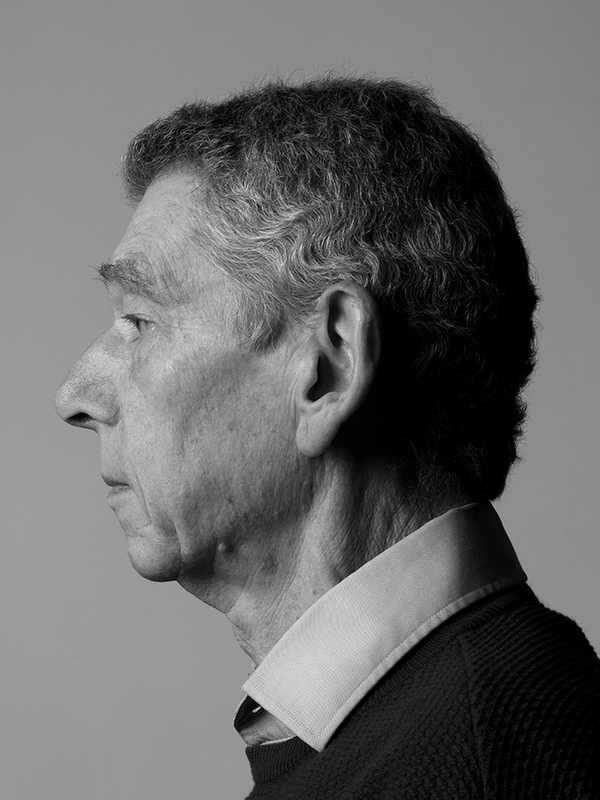 He designs for Filmfonds, PTT / KPN, Van den Ende Foundation, and Rijksmuseum Twenthe; and he is his own client when he designs new fonts. In 1975 already Unger decided one day he would design a font inspired by the 18th-century French letter designer François-Ambroise Didot. 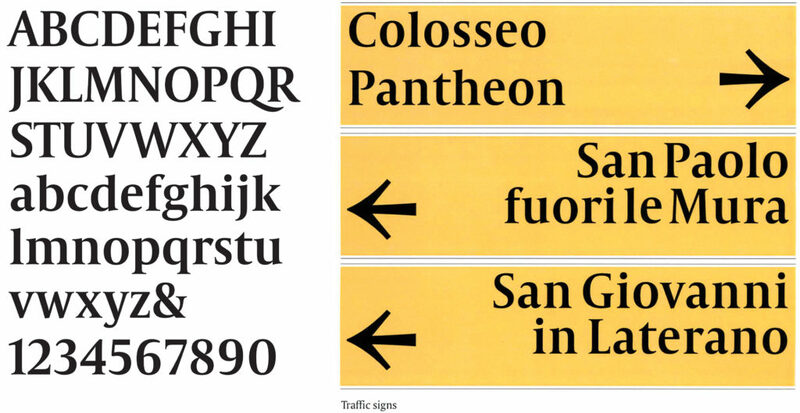 It is 1999 before he delivers: it is the serif Paradox, which inspires him to design the newspaper font Coranto (2000), which is followed in 2001 by the sanserif Vestabased on roman capitals; their geometric structure somewhat disappears when he narrows the letters and reduces the contrast between fat and skinny sections. Two years later Big Vestasees the light. 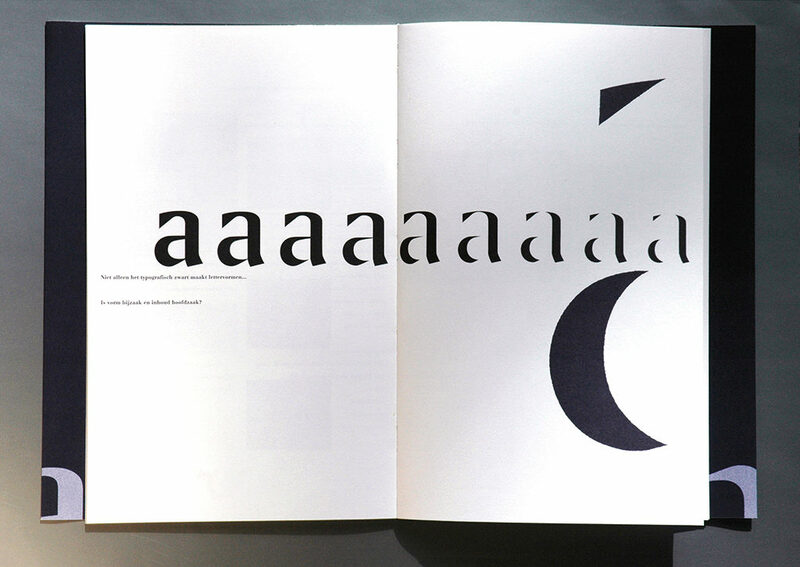 In 2005 Unger in collaboration with Veronika Burian designs Allianz for the like-named German insurance group; there are serif as well as sanserif applications in different densities, for use on paper and on-screen. The never introduced Capitolium designed for Rome is being re-designed as Capitolium News to allow for more economic use and to withstand the rougher process of newspaper pint; the Dutch newspaper ‘De Volkskrant’ is one of the publishers using the type as from 2006. 2006 is also the year Unger retires from teaching at the Rietveld Academy of Art. He is 64. In the same year he is asked to teach at the University of Leiden as professor of Typography Design. In his inaugural lecture, titled ‘Typography as vehicle of science’, he underscores that reading is a social right allowing people to participate in society. For more than one-hundred years the efficiency and esthetics of reading were subject of experiments and studies, and these resulted in continuously changing conclusions reflecting the ideas and opinions of the times – see here Unger’s clear response to Morison’s viewpoints with regard to the conservative reader and the utilitarian type. His Leidse Letters (2008) allow for being read and being observed, two different acts that cannot be done simultaneously. Because the reader has stored a “body of alphabets” in his memory, Unger has only to subtly suggest the thin connections between the fatter parts of letters. He is dropping hints about his opinions in all his designs, such as Alverata, a font based on roman capitals from the 11th and the 12th century he works on for four years as from 2009. In 2013 this font is the subject of his dissertation. 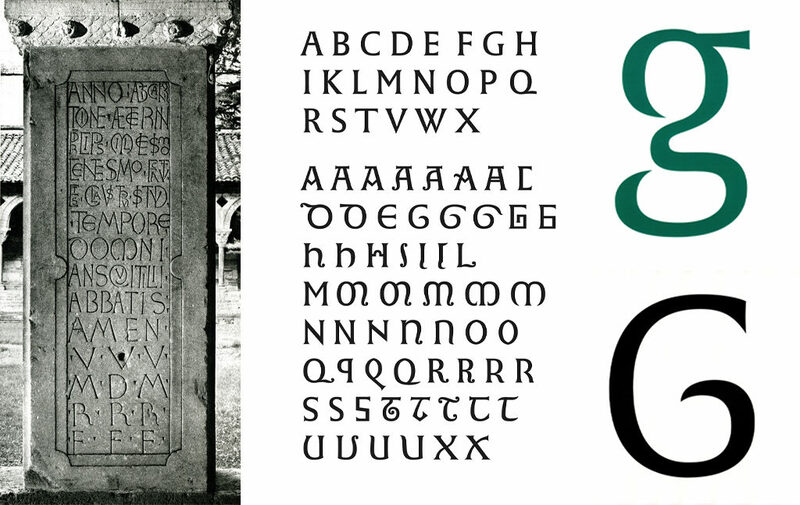 Unger became familiar with the roman type already in 1976 while working in Moissac in the south of France. The variations cut into letter forms in the Middle Ages inspire him to design also the Alverata Regular and the Alverata Informal. His goal with this family of fonts is to reach a similar stable typographic grey regardless in which of the West-European languages, with their peculiar letter combinations and signs, the letters are applied. His research sends him all over Europe to visit Roman churches and convents. His applications are of course not literal copies: he manages to connect his discoveries with the letter structures of the 21st century. 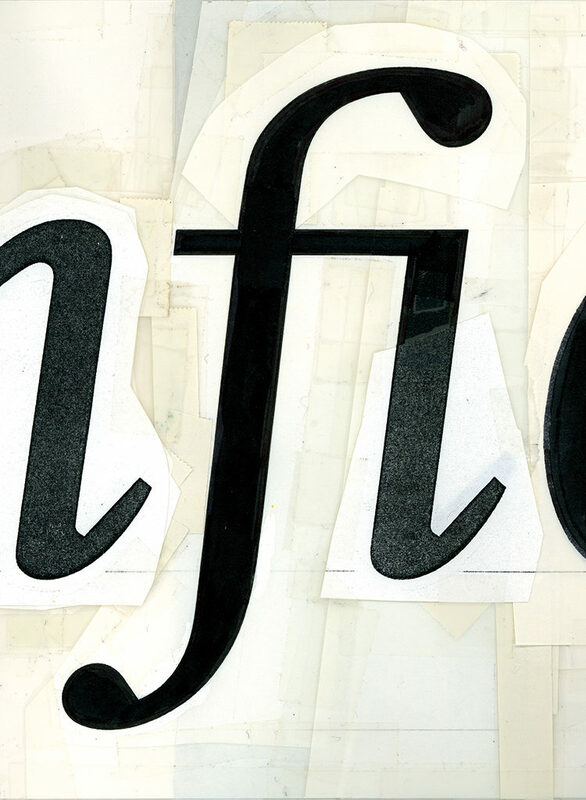 The Alverata family of type is Unger’s apotheosis; his handwriting, his experiments and the findings of his scientific research are all visible in this font. He receives his doctorate on September 5, 2013. His thesis is titled ‘Alverata, present-day European letters rooted in the Middle Ages’. Alverata leads to Sanserata in 2016, an “articulated” sanserif with incidental serif-like extensions that accentuate endings and increase readability especially when used on-screen. Unger continues to write about typography. His latest work, a theory of font design, in 2018 has still to be published. He writes from home, at the work table closest to his well-arranged book shelves in his studio at the coach house re-designed by Mart van Schijndel. Gerard Unger and his wife Marjan are in constant conversation and discussion about their work, exhibitions they visited, movies they watched and whatever else comes to mind. Unger as always dresses carefully and elegantly; he often finds something in purple to wear, never puts on plain socks, and never forgets to feed his rabbit or, when at home, to greet the swallows. He loves sitting at his desk and creating letters as graphic building blocks for words and, eventually, language. This is serious business; asked if he would consider publishing his own handwriting, the slightly italic and very readable monoline, Unger responds: “No, that would be childish.” Yet his handwriting is always visible, everywhere in his oeuvre. 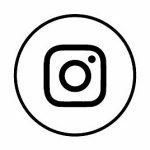 Over the years he has become extremely well-versed in the fusion of functionality and elegance, notwithstanding the strong conventions that still reign the world of typography. Unger is highly esteemed in the international family of font designers and rightly so: he taught the reader to read. 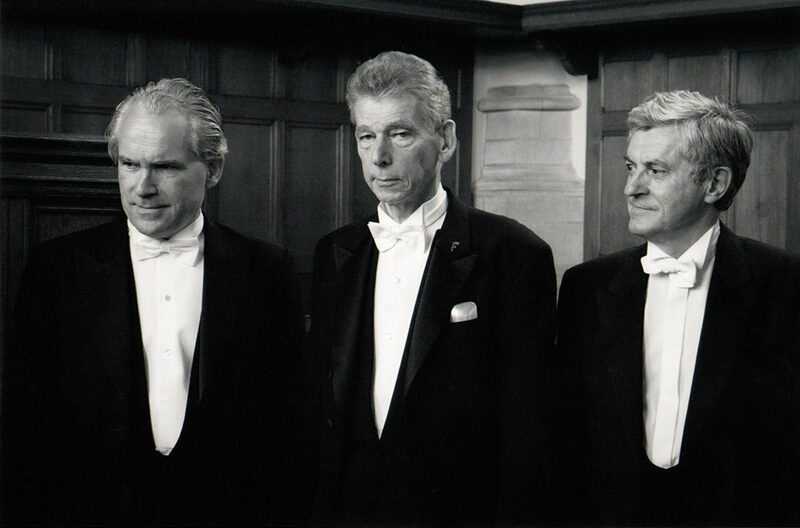 Gerard Unger received two honorary doctorates, from the University of Talinn (2004) and the University of Hasselt (2008). He received awards such as the H.N. Werkman Award (1988), the Maurits Enschedé Award (1991), The Society of Typographic Aficionados Award (2009), the Piet Zwart Award (2012), the Type Design Award of the Tokyo Type Directors Club (2016), and the TDC Medal of the New York Type Directors Club (2017).